10 Positive Bedtime Habits - Something New Everyday! Sleep, along with food, is vital for energy and alertness. But there are also some activities you can undertake that can help you feel fully refreshed after you wake up.. Indeed, bedtime rituals have proven to be an important factor for happiness, and special practices that are relaxing and pleasant can make a real difference to how you feel in the morning. Here are 10 things that happy people do before hitting the hay, and which you can also try. You don’t have to do all 10, just pick the rituals that are likely to work best for you! Take the time to meditate or pray. Regular meditation has been proven to improve your brain’s functioning, help combat stress, fight depression, and even lower your risk of a stroke or heart attack. When you meditate, you give your head a chance to let go of the day’s troubles, allowing you to go to bed with greater peace of mind. Happy people spend time reading for pleasure before bed time. They choose books, articles or short stories that inspire them. 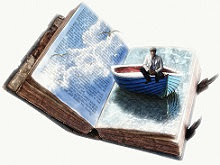 Inspiring reading lets your imagination become ignited with positive imagery and thoughts. This will lead you to fall into a sleep filled with positive thoughts and allow you to wake up rested and ready to accomplish your goals. If you take a few minutes to think about the forthcoming day and dedicate your mind to planning it, it can help you feel calm, free of worry and ready for a peaceful sleep. The next day, you wake up determined and with a clear idea of what your day will involve, so you will be focused and ready to go. Taking the time to plan is important for the future, but you can also use your time before bed to analyze the past day. Benjamin Franklin was a big advocate of this practice. By examining the actions of your day, you can pinpoint what goals were achieved, and decide what actions and activities were successful. This time can also help you understand what areas in your life need fine-tuning. Gratitude is the act of looking for the positives in life, and being thankful to God for your blessings. Recall all the helpful people you interacted with during the day. 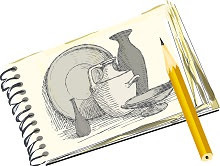 Many people enjoy recording the things for which they are thankful in a journal, which can be referred to in hard times. This outlook on life encourages positivity and is best done when lying in bed. You will feel much more positive when you wake up. Different people relax in different ways, but the guiding principle always remains the same - to engage in an activity that reduces your stress. They can be small rituals like a bubble bath, a warm cup of tea, or a calming hobby like drawing or knitting. When you are relaxed, you will find falling asleep easier. Think of an activity that will help you feel calm and make it a must-do before bedtime. You don't need to eat an entire meal right before bed, but some foods may have a positive effect before bedtime. The classic example is a glass of warm milk, but there are others that do the trick. Bananas, rich in serotonin can help you relax or a cup of herbal tea and oatmeal can also help calm you down. It’s highly recommended to avoid foods and substances like alcohol, caffeine or junk food. The purpose of pre-sleep snacking is to make you feel both mentally and physically relaxed. Some exercises can help your body calm down. More exertive exercise like running, dance or heavy lifting can make it harder for you to enter a serene state of mind ahead of sleep. But gentler stretching, yoga poses and other relaxing exercises are excellent bedtime rituals you may incorporate into your routine. Technology connects us to the world and all its troubles. Checking up on those uncontrollable activities can make it harder for your mind to switch off and for you to enter a more relaxed state. Reading the news or what others have to say can cut into time that could be otherwise used for positive bedtime rituals, so disconnect and focus on the means that really help you to unwind. Making your surroundings calm can facilitate all of the above rituals. Take the time to remove any item that can have a negative influence on you. Setting the mood can be done by making sure your bedroom is warm or cool enough, and that your bed is comfortable, with sufficient blankets and pillows. You can also make the room smell pleasant with the help of essential oils or potpourri. The idea here is to make your space feel safe and comfortable so that you can have a peaceful night’s sleep.